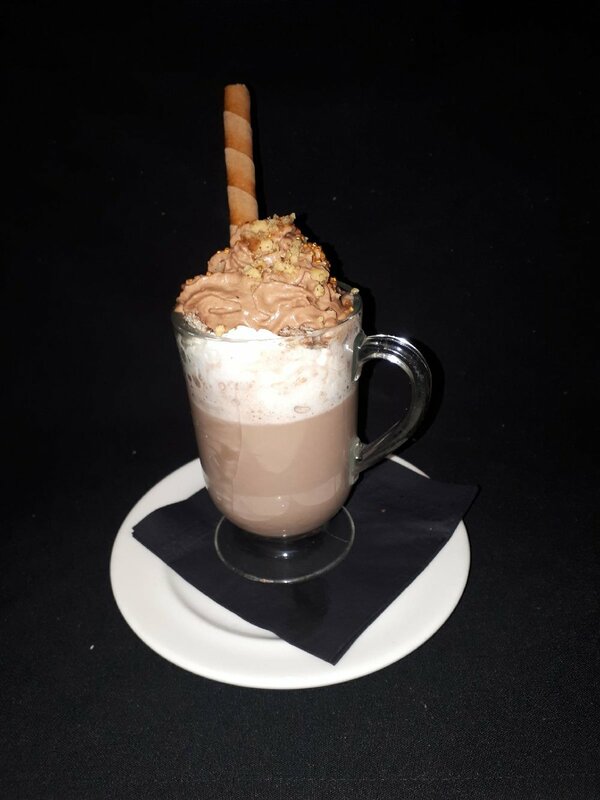 Our hot chocolate is a deconstructed Ferraro Rocher - Nutella base hot chocolate topped with regular and Nutella whipped cream. We top it all off with crumbled hazelnuts, gold flakes and a tuile cigar cookie for a little crunch. Come taste a little piece of heaven. Looking for an adult only version? This also comes in spirited with a shot of Frangelico!